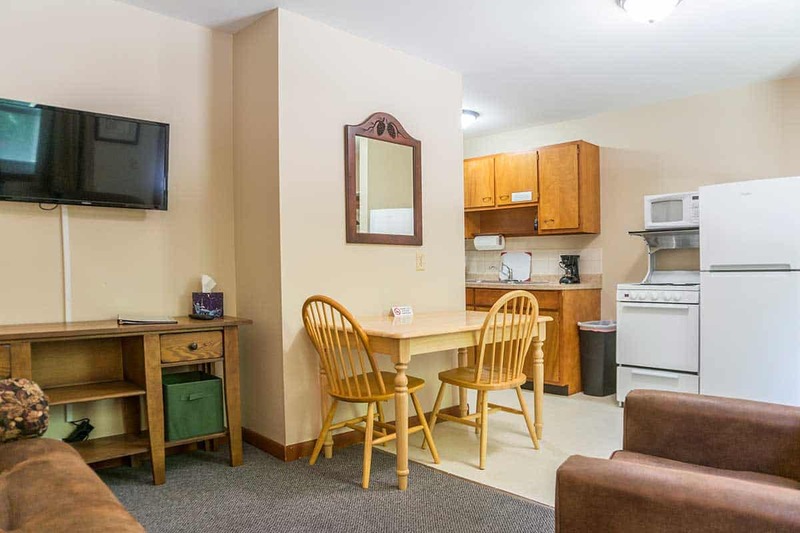 Little Bluff Inn offers two kitchenette units that are fully stocked for your stay. Each kitchenette has a capacity for up to three people* and features a queen bed in a separate bedroom along with a double size fold-down sofa in the living room area. 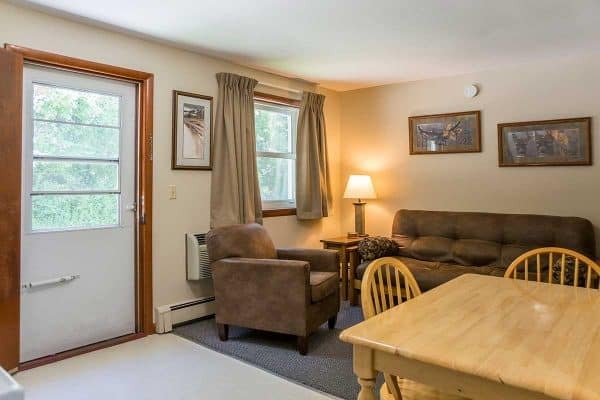 The galley kitchen has a refrigerator with a freezer, small electric stove, coffeemaker, double sink, microwave and a kitchen table with 2-3 chairs. 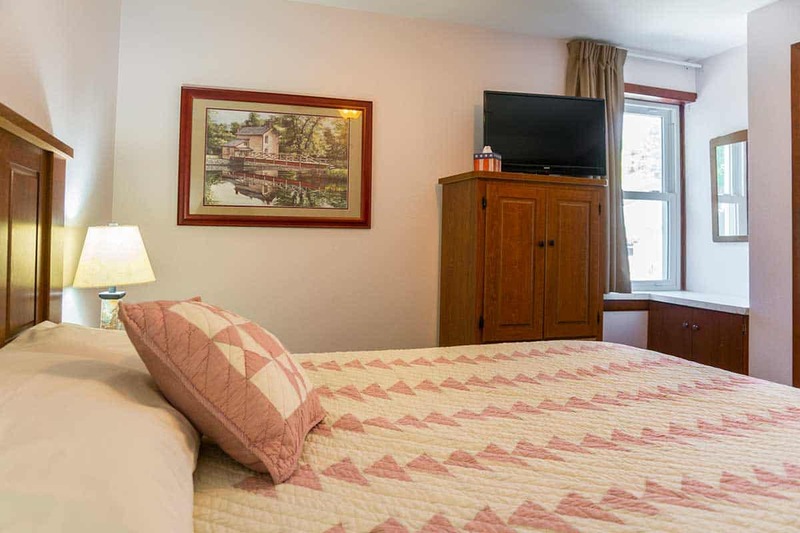 The bathroom is accessed through the bedroom and has a toilet, sink and bathtub and/or shower. Please request ROOM 37 or ROOM 38 for kitchenettes. Included in each kitchenette are dishes (sets serve 4), pots and pans including pizza pan and cookie sheet, silverware and basic serving utensils, juice pitcher and glasses. Please note that items such as aluminum foil, plastic wrap or storage bags are not stocked.